Google Contributor was a very interesting proposition for those of us in the web publishing industry. It allowed sites like Android Police to offer readers an option to pay a little bit of money per month to remove some ads and thus have a better experience reading us while also helping us stay in business. It was launched in August of 2015 and has thus far stayed limited to users in the US. 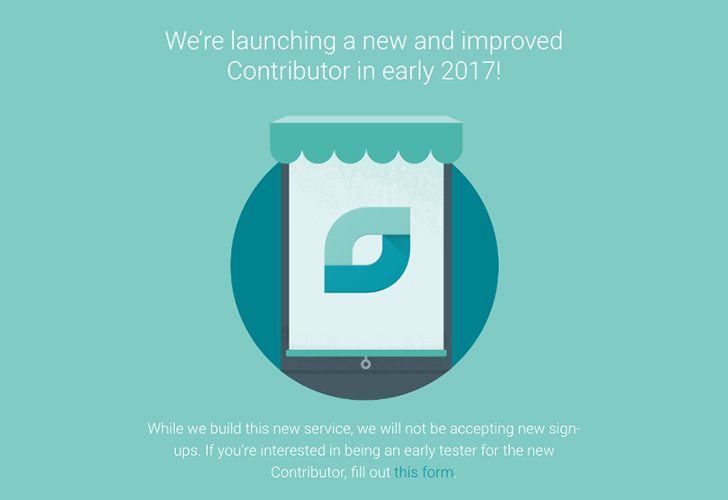 Today though, Contributor is being discontinued. 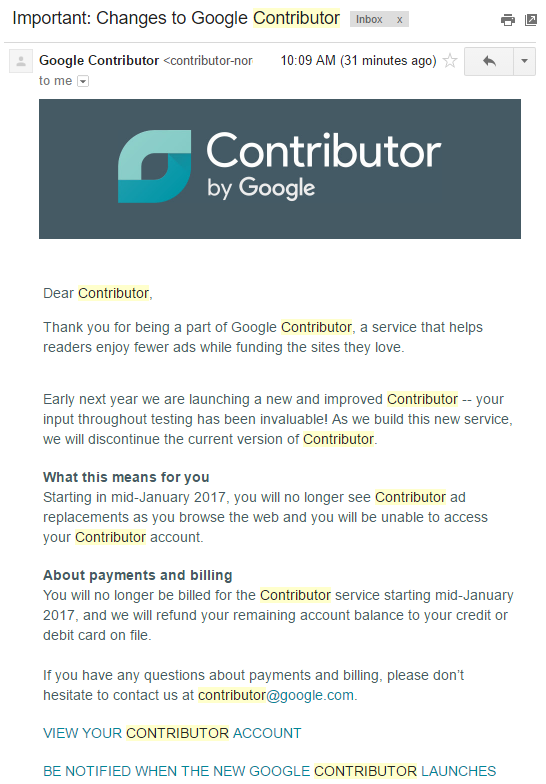 The contributor.google.com page is telling interested users that Contributor is no longer accepting anyone new and offering them the same link to sign up to become early testers of the new version. There are no other details regarding this new iteration of Contributor, so we don't know if it will be geographically restricted or if it will work in the same way. "Early 2017" seems close enough so let's hope that the team keeps that timeline and doesn't leave users and publishers hanging for long.